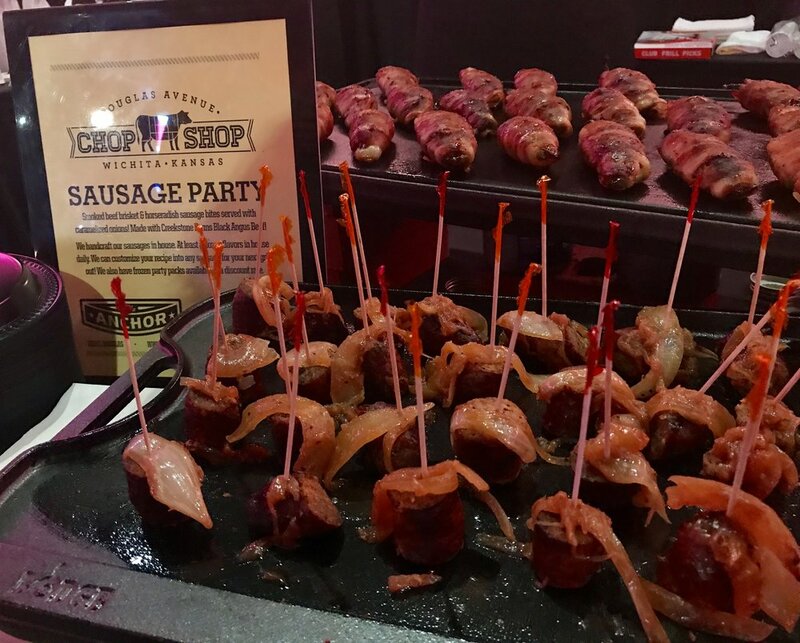 The Anchor and Douglas Avenue Chop Shop returned to the Celebrity & Chef Cookoff. 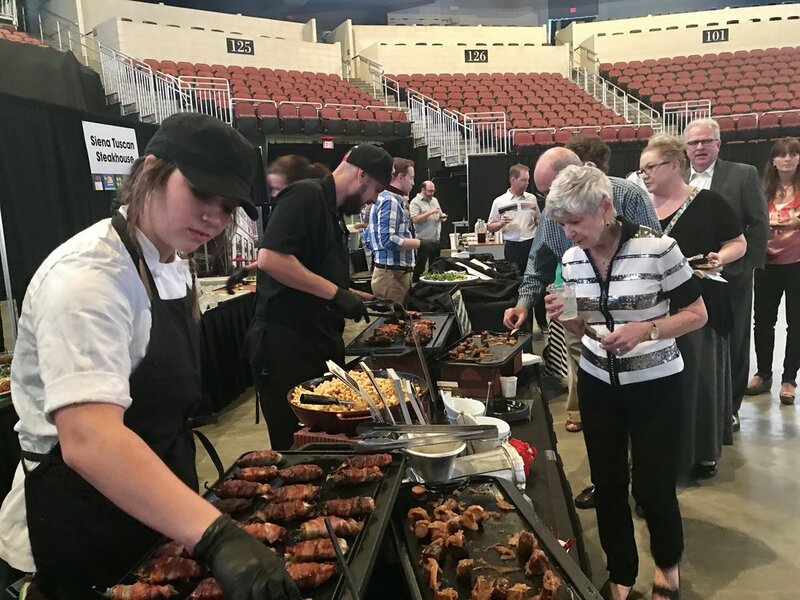 This year, the foodie-centric fundraiser celebrated its 16th anniversary with a move to Intrust Bank Arena. 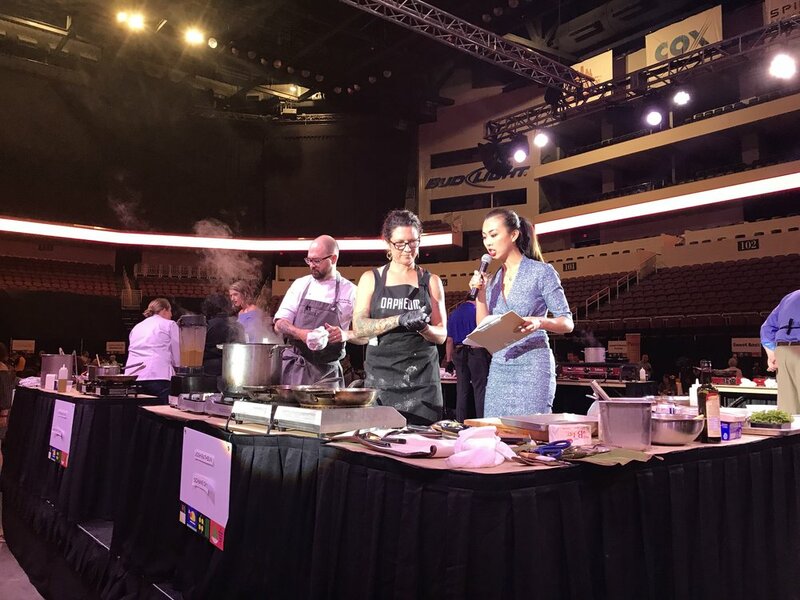 The change of venue allowed for more space, more vendors, and better visibility for the centrally-located stage with the jumbotron screens giving the crowd an up-close view of the teams in action. 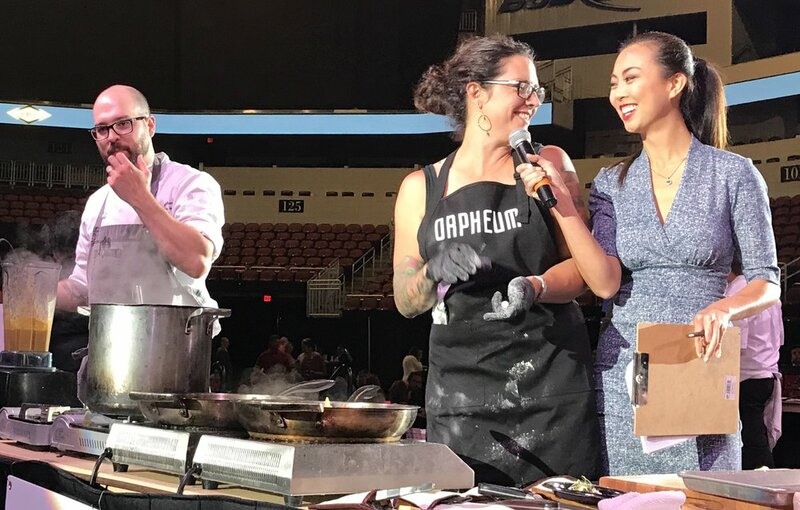 We have always had a great time sharing our food with attendees who visit our booth, but this year's cookoff brought another challenge for us– Or at least for our owner, Schane Gross. 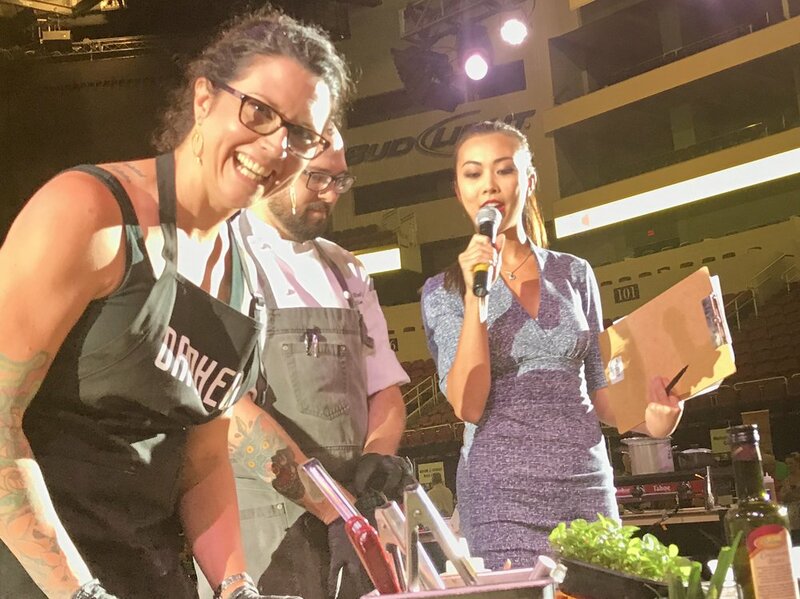 This time, she was asked to be one of the celebrities to be paired with a mystery chef in the competition. 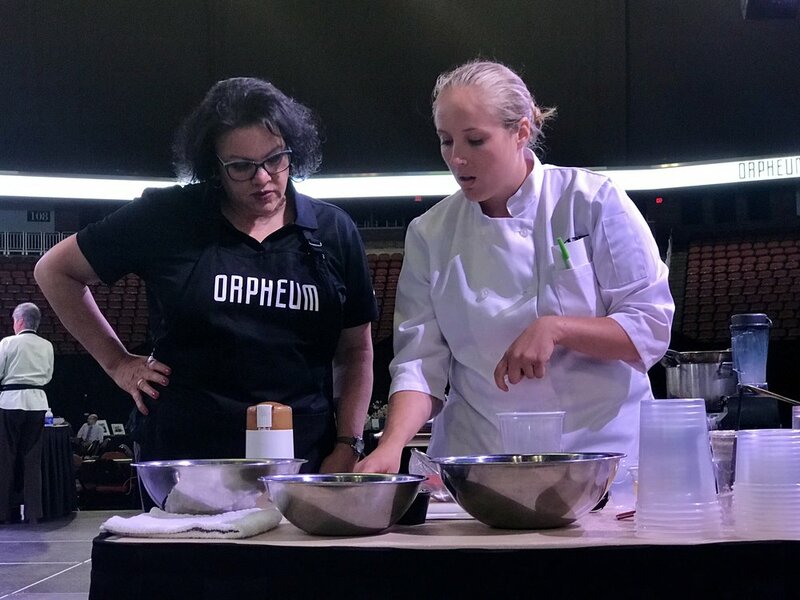 She ended up cooking with Chef Josh Rathbun, of Siena Tuscan Steakhouse (also a former employee! ), and they made an impressive team. 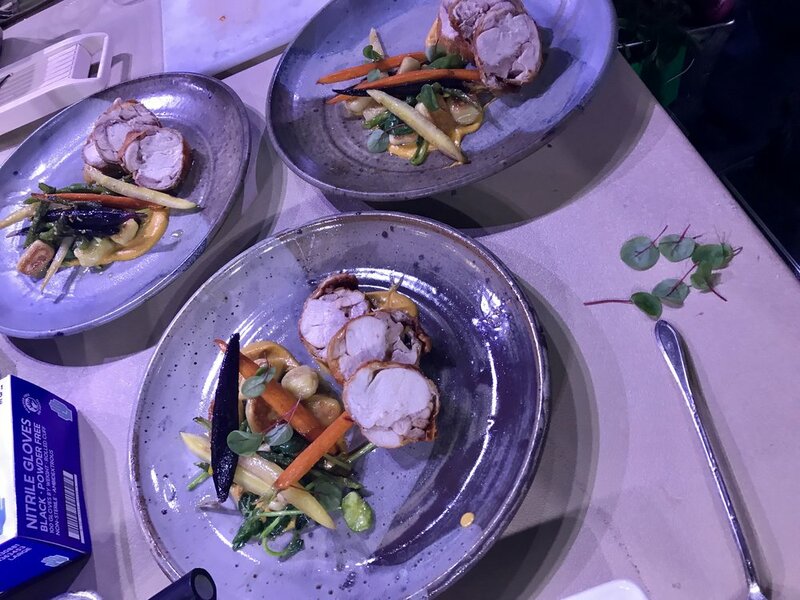 In the end, Schane and Josh's beautiful chicken and gnocchi dish was auctioned off for $400 (twice!) and they won second place in the Judge's Choice. 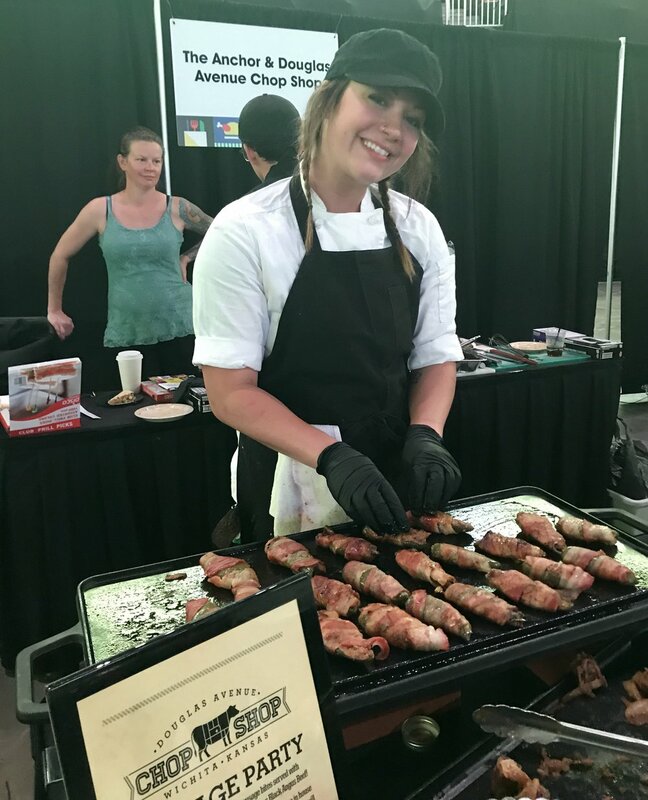 Our booth seemed very popular with the crowd, completely running out of Kansas Twinkies – our Jalapeños on the half shell stuffed with cream cheese and smoked bacon, wrapped in bacon – at the very last minute. 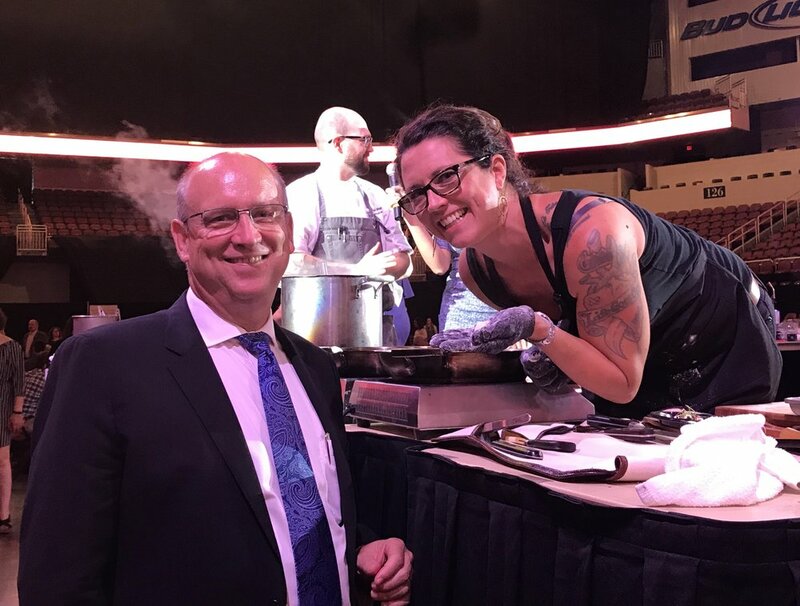 All in all, another successful C&C event for #TeamAnchor! We hope to see you next year.